MID-ARGYLL: at Keills John Aitchison noted 60 mostly juv Starlings being chased by a Peregrine, also 2 Swifts there. Nearby along the coast of Isle of Danna there were 15 Swifts on the move south (Jane Smith per John Aitchison). 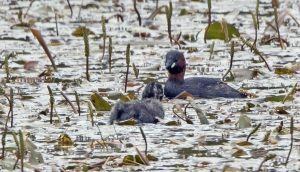 MULL: a Greenshank was at Craignure Bay and an adult Slavonian Grebe was at the head of Loch na Keal (Dave Pierce per Alan Spellman). 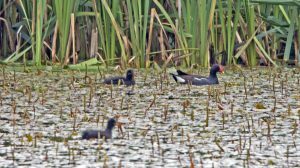 COWAL: at Knockdow Estate there were 3-4 adult Moorhens with up to a total of 9 young, also 2 broods of Little Grebes (Alistair McGregor & George Newall). 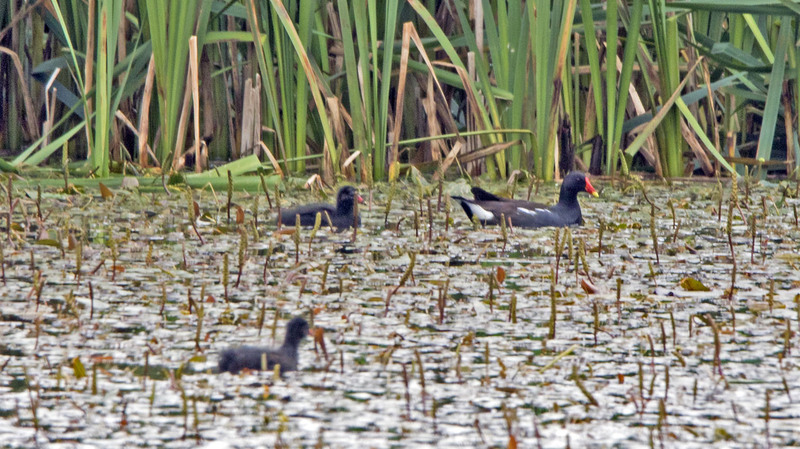 Moorhens – Knockdow, Cowal 4 Jul (Alistair McGregor). 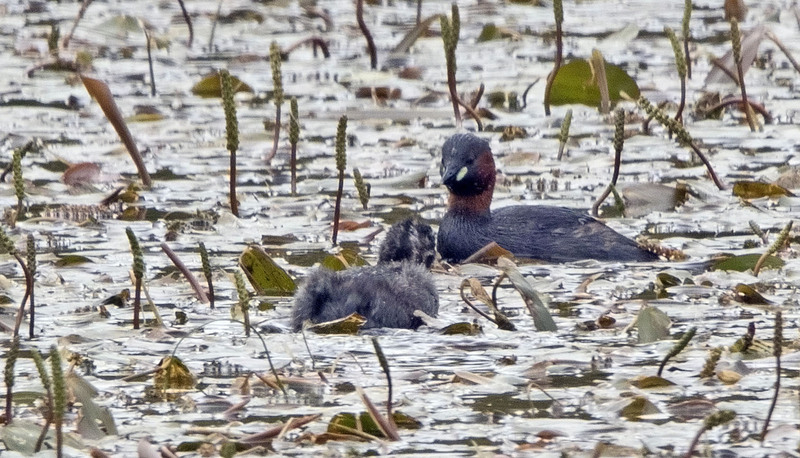 Little Grebes – Knockdow, Cowal 4 Jul (Alistair McGregor).